I confirm that the email address I provided is correct and understand that if incorrect, I will receive no product and will have to contact support in order to gain access. DUE TO THE DIGITAL NATURE OF THE PRODUCTS, THERE ARE NO REFUNDS. All sales are final. While we do not offer any refunds. We would love to know more about your experience and help you troubleshoot the problems that you may have. If you haven't seen any of our walk through videos or the Lightroom tutorial, please refer to these within your product when you login to your account here. 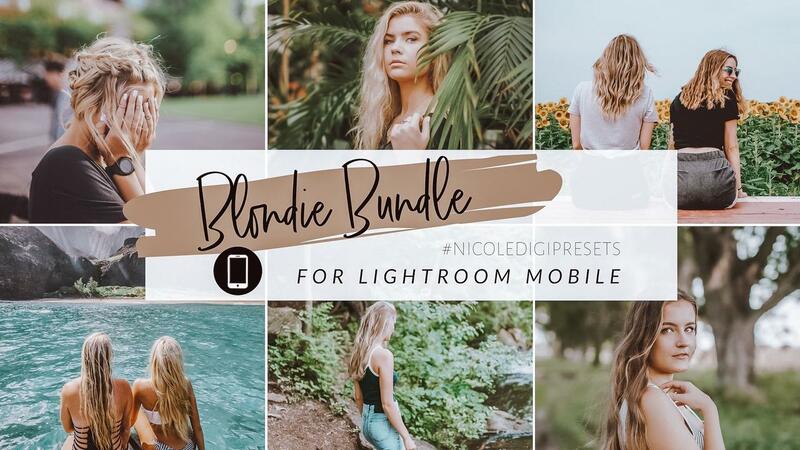 ADD ON OUR BEST SELLING PRESET FOR ONLY $17! Add on our most versatile preset Lovely Season! Perfect for all year long- summer, winter, any season, beauty, fashion, interior, family & lifestyle photos! Ash Blondies - This preset gives your photo a flattering blend of muted colors, tan tones, golden undertones—the epitome of #hairgoals! 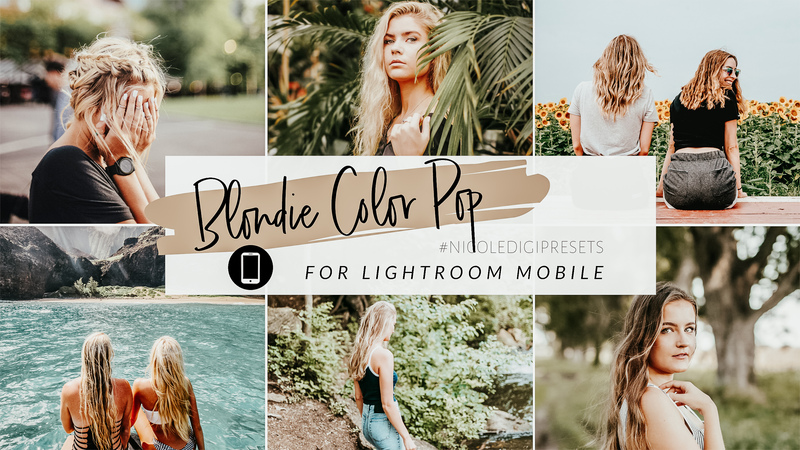 Blondie Color Pop - A warm preset with sharp colors, keeps your blonde strands blonde and gives your skin a sun kissed look! Golden Blondies - The perfect sun kissed preset; keeps your locks golden while warming up the feel of your entire photo. Platinum Blondies - A striking preset with a mystical feeling. This preset will give your photo bright silvery highlights while keeping your skin warm and tan. in the email you provide at checkout. **PLEASE CONFIRM EMAIL ADDRESS BEFORE SUBMITTING PURCHASE. These presets work in one click for MOST photos. However, there may be instances where minor adjustments will be needed (due to differences in lighting and coloration of the original photo). Included with each purchase is a video guide that shows you how to make these minor adjustments!